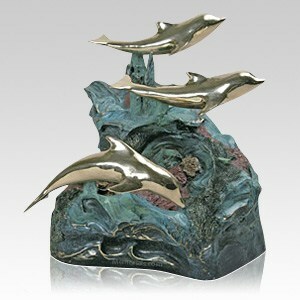 The Playing Dolphins Cremation Urn is made from an artist's lost-wax hand sculpted creation. This bronze is made to withstand the test of time. Preserve the memory of your loved one for years to come with a wonderful bronze urn.